A little bit of country inside city limits. 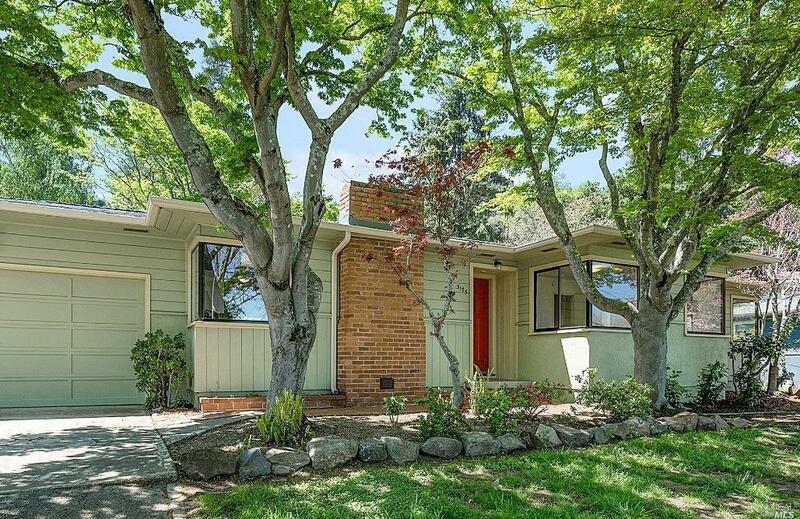 This charming single-level mid-century home is sited on .489 terraced acres. Original oak flooring, an eat-in kitchen with views to the expansive lot, a comfortably sized dining room opens to living room with views to the Eastern hills. Unique corner windows sets this home apart from any in the neighborhood. Don't miss The Lodge, a 300 sq ft bonus room with redwood walls and exposed beam ceiling.